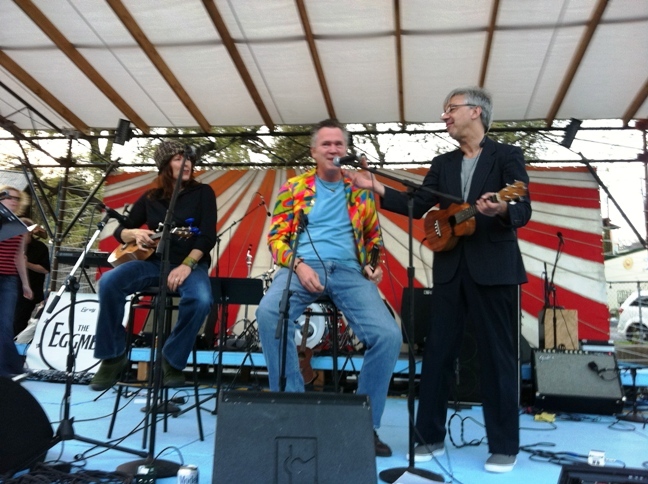 Here’s few photos of Bill Jones and me at the SXSW Beatles event kick-off yesterday. The audie nce was small but enthusiastic. 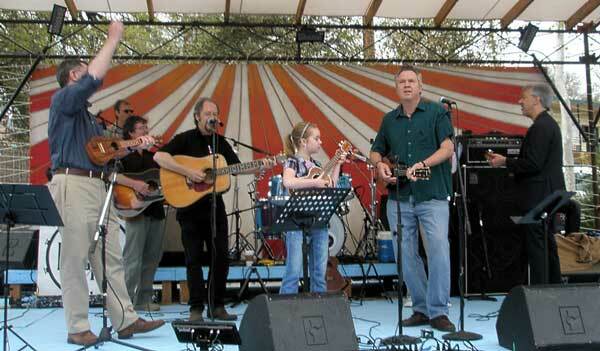 The guests on stage were just three: Bill, a little gi rl from Mississippi visiting Austin with her mom, and me: two tall men with a little girl (probably 10 or 11 years old) between, plus Roger and the Eggmen. And at last, here are AUS members Bill and Kathy onstage with Roger Greenawalt near the conclusion of the Beatles marathon. Great job! 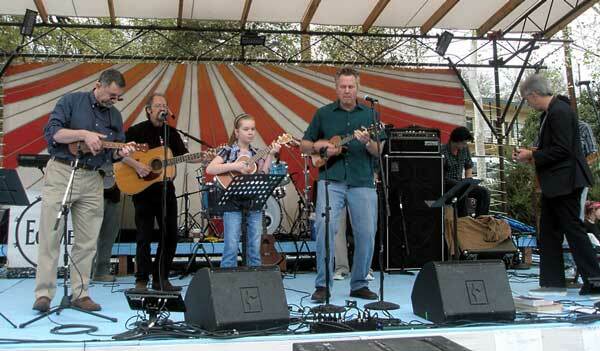 This entry was posted in Uncategorized on March 21, 2011 by Austin Ukulele Society.